Actor-Director Prabhu Deva strikes a Michael Jackson pose after unveiling a statue of the pop icon at private university in Chennai. 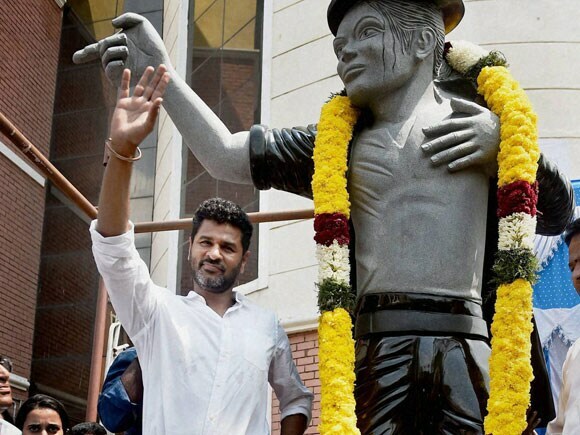 Actor-Director Prabhu Deva strikes a pose with Michael Jackson statue after unveiling it at a private university in Chennai . 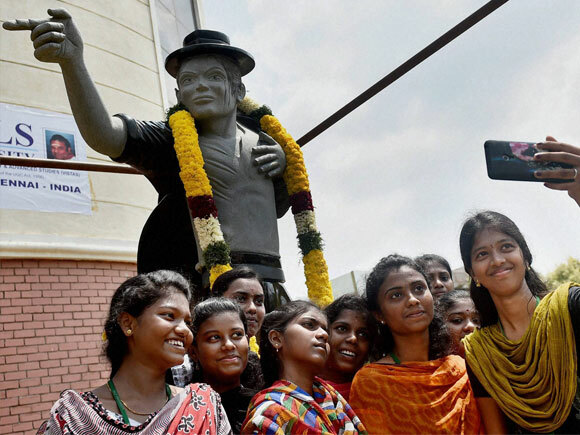 Students click a selfie with Michael Jackson statue, unveiled by Actor-Director Prabhu Deva at a private university in Chennai. 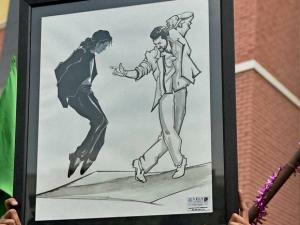 Actor-Director Prabhu Deva shows a framed sketch during unveiling of a Michael Jackson statue at a private university in Chennai. Actor-Director Prabhu Deva shows a_framed sketch during unveiling of a Michael Jackson statue at a private university in Chennai.